Pablo ready to get his hustle on. 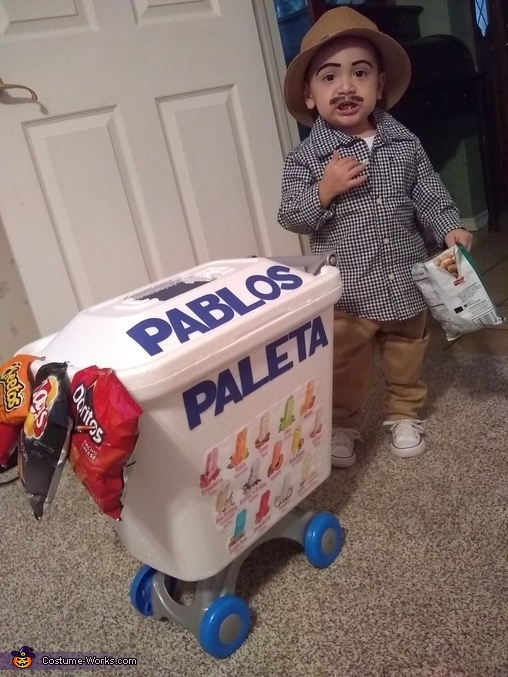 Agustin "Chubbs" who just turned Two is representing his favorite person in the city, the Paleta man. Pablo is his alter ego when indulging in sweets and ice cream and that is how we decided who he would be for Halloween.